Select the Performance Package for carbon-fiber detailing, including a sleek carbon roof and inner-door panels. Driving-related switches and controls located around the steering wheel make it easier to concentrate solely on driving. Expect pure brilliance when you turn on the LC 500’s elegant L-shaped taillights, made with 80 LEDs on each side. Newly developed run-flat tires grip the asphalt of your favorite roads, so you can keep on driving to a safe spot long after all the air has gone. The tachometer display changes to emphasize priority information according to the selected drive mode. For example, in SPORT S mode, the tachometer displays enlarged numbers. A standard feature on the LC 500, the panoramic glass roof closes the distance between your environment and you. 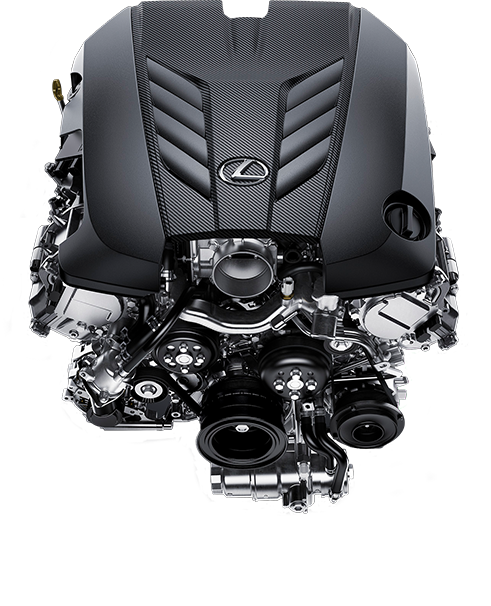 The LC 500 is powered by a robust 5.0-liter naturally aspirated V8 engine pumping out 471 horsepower and 540Nm of torque. The LC 500 cuts through the air with aerodynamic features, including aero stabilizing fins, an active rear wing and the world’s first rear aero ducts. The Dynamic Radar Cruise Control monitors fatigue by helping you maintain a safe distance from the preceding vehicle. If you drift into another lane without a turn signal, the LDA system alerts you with a buzzer and on the multi-information display.